Filipinos who apply for overseas jobs rely on recruitment agencies for fast deployment and they are willing to spend even their last money just to ensure their deployment abroad hoping that when they finally got to work overseas, they can provide for their family. 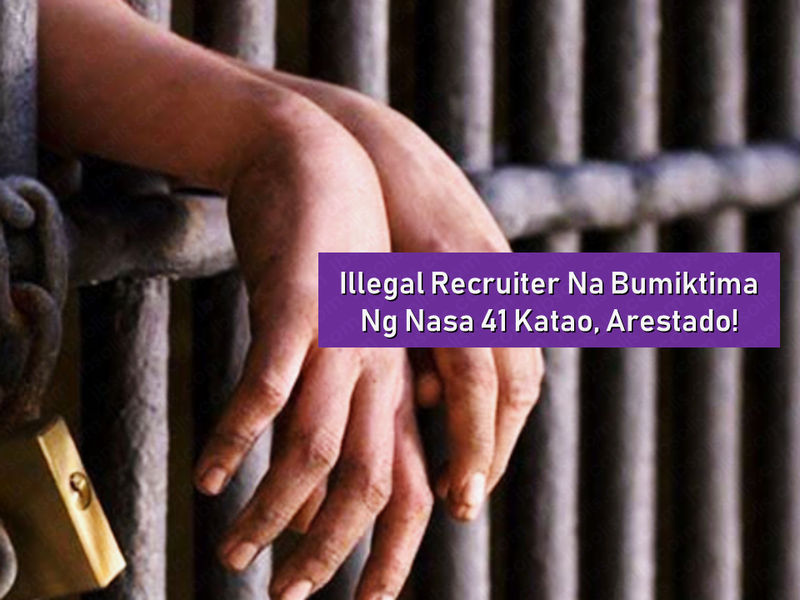 Illegal recruiters take advantage of the applicants who are less knowledgeable about the trade. The Philippine Overseas Employment Administration (POEA) always advises every aspiring overseas Filipino worker (OFW) to stay vigilant and cautious about illegal recruiters and transact only with POEA licensed and accredited recruitment agencies to prevent loss of their hard-earned money. The victims of these schemes are mostly first-time OFWs. In Sta. Cruz, Manila, at least 41 females including some minors, were rescued when the authorities raided a house where the illegal recruiter lives. With the effect of a search warrant issued by Manila Regional Trial Court Branch 132 Judge Rommel Baybay, Manila Police District‘s intelligence operations unit, led by Chief Inspector Rosalino Ibay Jr., raided a house on Karapatan street owned by Tor Bella. They recovered documents to prove that Bella and his family were allegedly doing illegal recruitment. Bella's daughter Monaliza, and his 23-year-old granddaughter were also immediately arrested. Bella has an accommodation house adjacent to his house where the 41 victims were found and rescued. According to the report, the women said that they were mostly from Mindanao. Bella recruited them and offered work as domestic helpers in Saudi Arabia. According to Chief Inspector Rosalino Ibay Jr., TNB employment agency, owned by Bella was formerly authorized to recruit for local employment but his permit was revoked. Now, Bella processes the applicants' papers and brings them to Lim’s Talent Sphere agency, which sends them abroad. The suspects were now facing illegal recruitment and serious illegal detention charges.